In between the space of what you think you see there’s an invisible world. Your brain, for many reasons misses this world, commonly because of the shear volume you’re trying to process. These gaps automatically are filled by your mind using experiences of your past. My purpose is to share with you those split-second moments that are happening so fast that you’ve probably been missing them. This can take place even if you think you’re paying attention. Artists and scientists, as a group, are familiar with this concept as they strive to see things as they are, instead of projecting their own values. This isn’t nearly as easy as it sounds because our brains are designed to perceive based upon association. Therefore, whatever you’ve seen before, you’re likely to look for again. In a personal experiment, I grabbed a camera to frame things differently and open my mind in a tangible way. My first picture was of a dove carrying a branch. After studying the picture, I realized there were zillions of things I initially didn’t see. As silly as this might sound, I had no idea that the dove had a branch in its mouth. Also, I wasn’t prepared for the bird to fly towards me and because of this, I missed four or five other shots. I expected the dove to fly away from me. This thought seemed reasonable based upon my past experiences. My mind, through historical association, was genuinely surprised at the bird’s flight plan. I planned on experiencing what I had seen before. In analyzing this one shot, I contemplated the majority of the pictures missed and the other unaccounted differences in reality versus the fuzzy images I saw. I was onto something. There was so much I wasn’t seeing. I concluded I could do better. Inspired by my first picture, I grabbed my professional camera and set the shutter speed to 1/1000 of a second to capture my next subject in action. I know at this speed my brain is totally incapacitated to take in information this quick –which is the whole point of my experiment. I wondered what else I could observe. Truthfully, you never know if any subject is going to cooperate but I asked a hummingbird to come around so that I might capture a breathtaking shot. At first, I was so close to the darting movements of the tiny bird that buzzed around me, I couldn’t swing my camera fast enough to catch anything but a blur. 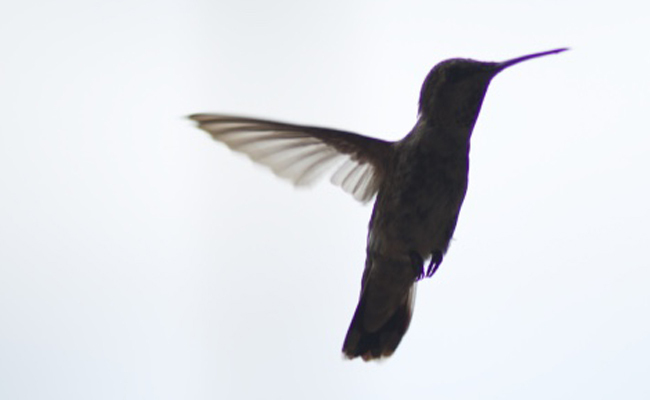 I didn’t know that hummingbirds flapped their wings from 50 to 200 times –a second. Nor had I personally anticipated for how miraculously fast they travel. Now, ever determined to see what I was missing, I reset all my camera settings and prepared for another try the following day. I was going to be as ready as I could be for the possibility of seeing a hummingbird, let alone taking its picture, as it travels 50mph. Imagine me preparing to sit very still in 105 degrees, camera on, with my eye to the viewfinder hoping that I would hear the sound of a descending hummingbird. I laughed at myself thinking about it. There’s no other way to describe it. Roughly eighteen inches from my lens this hummingbird placed itself so I could actually put it perfectly within frame. 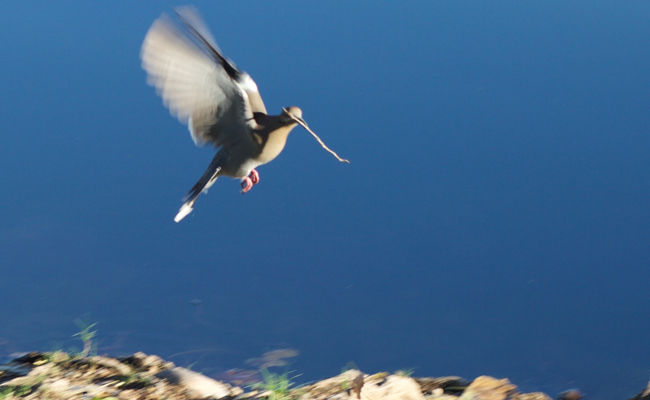 Again, I couldn’t actually see what was being displayed through my camera lens –it was all happening much too fast. I didn’t know what I captured until I saw the digital image. After I put my camera down, my experiment to become further aware continued its expanding impact. I was drawn to start looking at the space in between what I could see and everything before me in a different light. I will never be able to comprehend all the wondrous things that surround me. In this dimension, many things are not deemed real until they can be measured in some capacity. I respect this, and maybe it’s just a fun part of our biological design, but it doesn’t keep me from looking into the invisible world.